Home / Craziest Captain / Who is the Craziest Captain? Who is the Craziest Captain? Oh Captains! Since the dawn of pop-culture, they have been at the forefront of excitement. They have discovered new continents. They have led men into battle. They even guide us through the galaxy. Captains are honorable, bold, witty, and courageous. We trust them with our lives and they are regarded as the best of us. They also share another trait. They are all crazy. Why are they crazy? Who knows? Does the weight of leadership go to their head? Was there always something about them, that we only now see once they are in charge? Do we prefer a leader who is unpredictable? Whatever the reason, it is a clear and present fact that craziness and captains go hand in hand. But who is the craziest? We at Mad Bracket Status have assembled a bracket of 32 Captains from the world of popular culture. They fall into four divisions. The first division is made up of Captains who work in space. The second division is made up superheroes who hold the mantle of Captain. 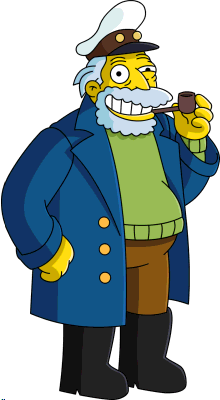 The third division contains your more traditional sea Captain. The fourth division is the other division, containing Captains who didn't fit into the other four divisions but were too crazy to ignore. Below is the bracket separated by division.